of the good of your life? is pulled away to lie in his box. we are! To make product from byproduct. kill and pack and truck him to plates. him again. His milk is not for him. of ground. And how we will dine! scouring her blood from the factory walls. Gretchen Primack is a poet, editor, and teacher living in New York's Hudson Valley. She coordinates Ulster Literacy Association's program in the Ulster County Jail. "Love This" is reprinted from Kind (Post Traumatic Press, 2015) by Gretchen Primack, used by permission. 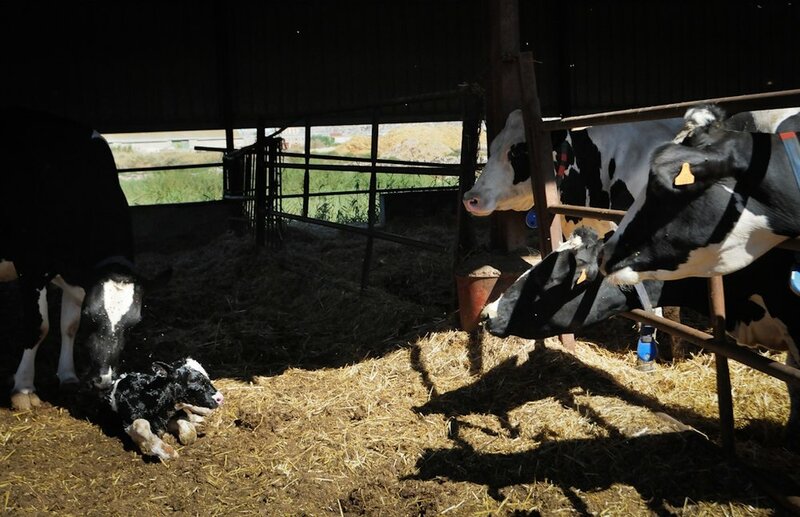 Still wet from birth, the calf will be added to the rows of other calves and crates, and raised in this confinement. Photo: Jo-Anne McArthur | We Animals.